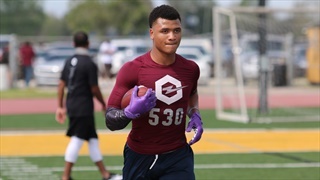 One of the nation's absolute top wide receivers, Jermaine Burton of Calabasas, California announced Saturday afternoon that he is committed to LSU. 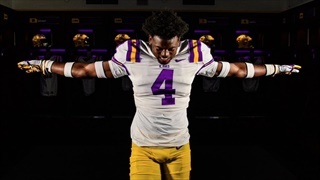 LSU is loading up on defensive personnel as Ed Orgeron has landed the commitment of 2020 linebacker Josh White of Cy Creek High School in Houston, Texas. 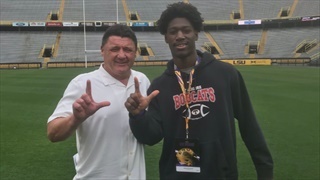 High four-star safety Keshawn Lawrence of Ensworth High School in Nashville, Tennessee tells TigerBait.com that he has a really strong visit to LSU last weekend. He goes into all the details with TigerBait.com. 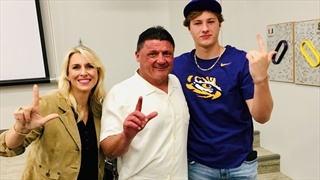 This past weekend, LSU quarterback commitment Max Johnson got a first-hand look at the rejuvenated offense fueled in part by new passing game coordinator Joe Brady. 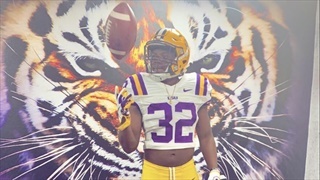 He goes into detail with TigerBait.com about how firm his commitment is to LSU and more. 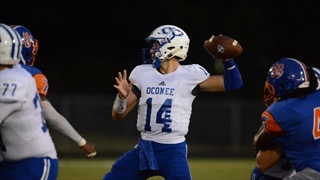 TigerBait.com has learned that class of 2020 quarterback TJ Finley will be visiting the University of Kansas officially this weekend. 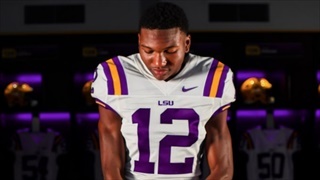 Sage Ryan, "LSU, of course, is number one"
LSU is in a good position for 2021 four-star athlete Sage Ryan?. 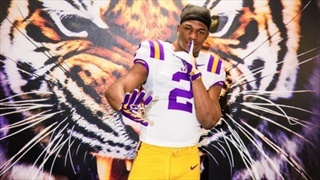 After receiving a scholarship offer in March and visiting campus for the Spring game, the prospect from Lafayette Christian Academy has named the Tigers his top school. 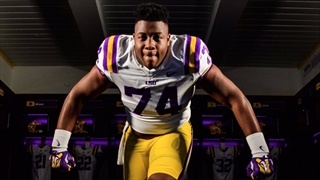 With LSU having ten commitments for the class of 2020 you won't get much of an argument that the biggest position of need the rest of the way is offensive line, particularly tackle. 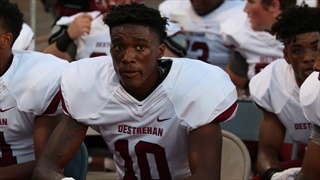 Destrehan 2021 four-star wide receiver Quincy Brown has quite an impressive list of offers for a player that hasn't yet completed his sophomore year of high school. But there seems to be one offer he is still looking for. 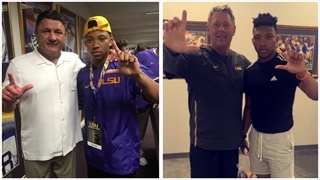 The LSU coaching staff is looking for a tight end or two for the 2020 recruiting year and the first one to visit officially was Jonathan Odom of Jesuit High School in Tampa, Florida. 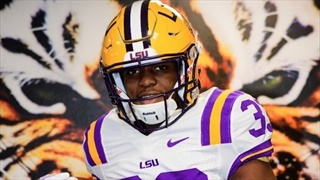 The reviews coming in for LSU's spring game weekend have been strong as can be and that's the case for 2021 linebacker Raesjon Davis of Mater Dei High in Santa Ana, California. He provides the skinny to TigerBait.com. 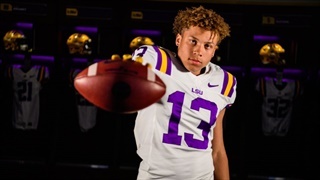 Elite four-star wide receiver Jermaine Burton is just days away from announcing his college decision but after a great official visit to LSU he tells TigerBait.com that the Tigers are number one. There's nothing more valuable to a prospect than being able to spend multiple days on a university campus in order to get a feel for a program. That's exactly what class of 2020 safety Nehki Meredith of Virginia Beach, Va (Bishop Sullivan Catholic) did for three days. 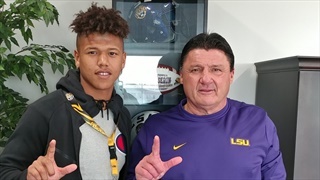 Class of 2020 athlete Jaden Navarrette a high four-star prospect rom Norco, California has verbally committed to LSU. He's currently on an unofficial visit in Baton Rouge. 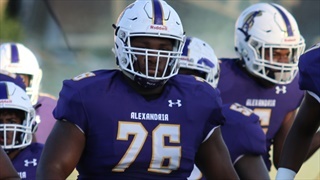 The LSU football coaching staff is hosting an extraordinary group of official and unofficial visitors for their spring game on Saturday. Here is our ongoing list of visitors. 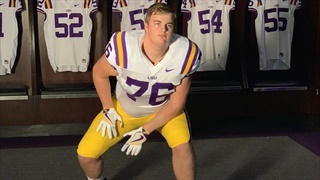 LSU legacy offensive lineman prospect Brady Ward of St. Paul's in Mobile, Ala. was back on the LSU campus this past weekend for another unofficial visit. 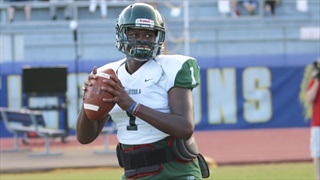 During that visit the LSU coaches gave him a roadmap of what to expect in the coming months. Four--star defensive tackle Jacobian Guillory? of Alexandria? is about to be very busy the next three weeks as he tells TigerBait.com that he’s got multiple unofficial visits scheduled. He also reveals his top-five schools. It’s early in the calender year but as of now it is looking like class of 2020 running back Kyle Edwards? 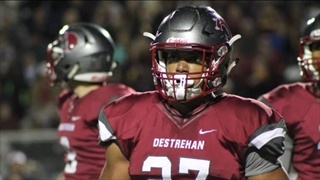 of Destrehan is going to be attending an out-of-state Southeastern Conference school or wearing the blue and gold of Notre Dame. He gives TigerBait.com all the details. 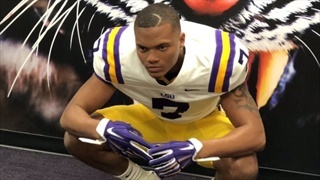 Class of 2021 wide receiver Latrell Neville of Willowridge High School in Missouri City, Texas makes no bones about which school is his favorite by a long shot.